If you lock yourself out of your room, the CCA will loan you a spare key when the Community Center is open, which must be returned within 24 hours. Residents who lose their keys or have them stolen will be responsible for any and all charges, including charges for replacement keys for their roommate/suitemate and replacement locks. 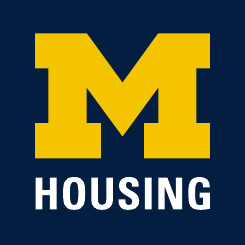 Please review the information provided in the Community Living at Michigan (CLAM) Handbook.